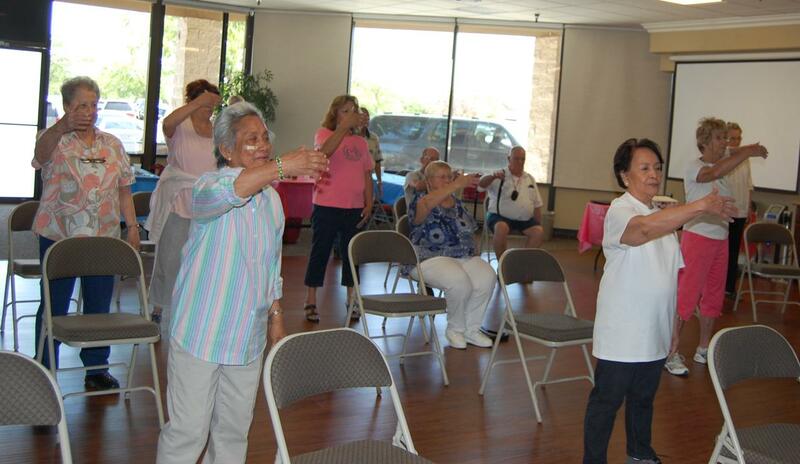 Around 10:30 a.m.Wednesday, May 30, more than a dozen seniors took part in a Tai Chi class at the HDMG Senior Wellness Center in Lancaster as part of National Senior Health & Fitness Day. 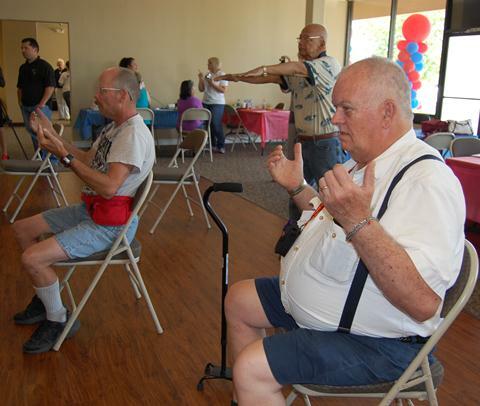 HEALTH – Antelope Valley seniors Wednesday joined more than 100,000 older adults nationwide in fitness activities to celebrate National Senior Health & Fitness Day – the nation’s largest health promotion event for seniors. 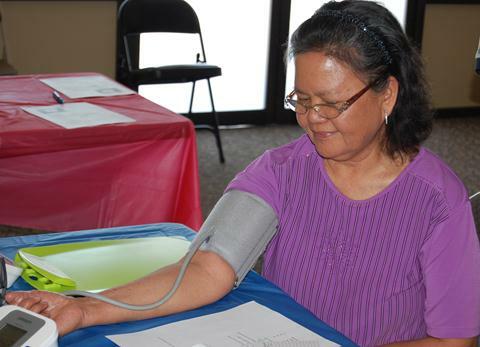 Local activities took place at High Desert Medical Group’s Senior Wellness Center in Lancaster. “To get the seniors out and moving not only benefits their health, it’s a way to be social, get active and have a lot of fun,” said Sally Abbott, HDMG Senior Wellness Center manager. The day was filled with free activities promoting fitness and good health for seniors of the Antelope Valley, including a fitness walk with exercise stations, health-related informational tips, Tai Chi, Wii demonstrations with hands-on challenges, exercises, health screenings, karaoke and more. Boold pressure screenings were also offered. Adamik, who teaches classes at senior centers throughout the AV and in his own studio, said senior health and fitness day is extremely important for older residents. Free on-site chair massages were also given from 2 to 5 p.m. in celebration of National Senior Health & Fitness Day. 2 comments for "AV seniors get moving for National Senior Health & Fitness Day"
I enjoyed a wonderful afternoon teaching Zumba dance to a great group of seniors. So glad to have met you all! Can’t wait to Zumba again. Such a beautiful facility.